Rooms with bathrooms. Rooms are equipped with wireless Internet access (Wi-Fi). Bank account:Recipient: PHU Pielgrzym ul. św. Józefa 23/35 87-100 Toruń Account number: 29 1600 1303 1849 8810 7000 0001 (PLN)On the premises parking lot for cars and coaches. In the facility: lift, 24-hour front desk. Rooms with bathrooms. Rooms are equipped with: satellite television, telephone, radio, Internet access. Rooms with bathrooms. Rooms are equipped with: wireless Internet access (Wi-Fi), TV, telephone, fridge. In our offer rooms adapted for the disabled. At guests' disposal wireless Internet (Wi-Fi). On the premises lit and monitored parking lot. 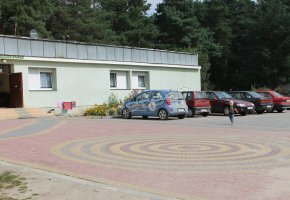 The facility is adapted for the disabled. We accept pets. Rooms with bathrooms. Rooms are equipped with: satellite television, telephone, wireless Internet access (Wi-Fi). Some rooms are equipped with balcony. Apartment consists of: living-room, bedroom, bathroom. Apartment is equipped with: radio, Internet access, TV. Tourist attractions: architectural monuments, museum. We offer breakfasts. In the vicinity café Cafe Molus. The facility is located in the town centre. In the vicinity parking lot. Number of places in room: 60. We perfectly organize: occasional parties. Open from 9.00 to 20.00. 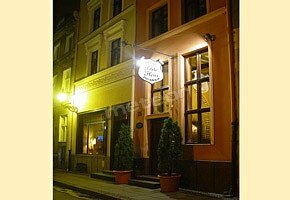 We specialize in the following cuisines: traditional cuisine, Polish cuisine. Number of places in room: 150. Open from 10.00 to 23.00. We specialize in the following cuisines: Polish cuisine, Italian cuisine. We offer: types of pizza, delivery of meals. We provide catering services. We perfectly organize: birthday parties. Open 10.00-21.00. Open 11.00-22.00. We specialize in the following cuisines Italian cuisine. Open from 12.00 to 22.00. We offer rich menu. We specialize in the following cuisines Japanese cuisine. Open: from 12.00 to 23.00. We specialize in the following cuisines: Indian cuisine, oriental cuisine. We offer: original interior design, unique atmosphere, refined cuisine, possibility of booking. Number of places in room: 35. Additionally at guests' disposal summer garden. Open: from Monday to Thursday 12.00-22.00, from Friday to Saturday 12.00-23.00, Saturday 12.00-22.00.